John Willmarth coordinates the Steel Band and Percussion programs at Summerville High School. In addition, he directs the percussion section of the Summerville High School Green Wave Marching Band and is a faculty member for GATEWAY, a Dorchester School District Two program that nurtures gifted and talented elementary and middle school students in the arts. He has previously served as an adjunct faculty member at the University of Kentucky, percussion instructor at Centre College, and as Director of Percussion at McKinney High School in McKinney, TX and Lafayette High School in Lexington, KY. As a percussion consultant and clinician, he has worked with high school programs across the country as well as for Bands of America, The Yamaha Corporation of America, and the Kentucky Governor’s School for the Arts. An active performer, Mr. Willmarth is currently the drummer for the "Word and Table" contemporary worship services held at Bethany United Methodist Church and performs regularly with the Charleston Wind Symphony. He previously held the drumset chair in the Dimartino/Osland Jazz Orchestra, University of Kentucky Faculty Jazztet, and the Raleigh Dailey Trio. In addition, he was a regular percussionist with the Paragon Music Theater Company and performed with the Lexington Brass Band and the Lexington Philharmonic Orchestra. He is a former member of the Cavaliers Drum and Bugle Corps where he was a part of three Drum Corps International High Percussion trophies and two DCI World Championship titles. An active composer, Mr. Willmarth’s compositions have been performed at the Percussive Arts Society International Convention (PASIC) and the Midwest Band and Orchestra Clinic. In 2006, he received 2nd place honors in the Percussive Arts Society Composition Contest for his solo timpani piece, Bushido: The Way of the Warrior. 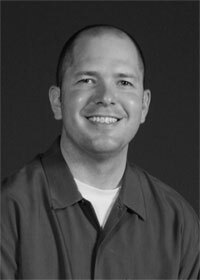 An experienced arranger, he has written marching percussion books for numerous high schools as well as The University of Kentucky, the University of Iowa, and Nightmusik.com. His percussion compositions and arrangements are published by Innovative Percussion, Drop6 Media, Inc., and Tapspace Publications. As an author, he has contributed articles to Percussive Notes and Bluegrass Music News. Mr. Willmarth earned a bachelor’s degree in music education from the University of Kentucky under the tutelage of James Campbell and a master’s degree from the University of Iowa in percussion performance where he studied with Dan Moore, James Dreier and John Rapson. He is a member of the Percussive Arts Society and an artist with Innovative Percussion, Evans Drumheads and the Yamaha Corporation of America. Percussionists have the unique challenge of trying to develop facility in a variety of instruments very early in their development. Splitting time between snare drum and keyboard percussion often causes percussionists to lag behind the rest of the band in reading skills. Because most band methods feature short excerpts, elongated rhythms, and familiar melodies, it is common for students to rely on memorization. Students often become disillusioned as the band method and repertoire progress because memorization becomes too difficult. Unfortunately, once poor habits become ingrained, they can plague a musician for years to come. These problems can be avoided if proper sight reading fundamentals are formed from the beginning.